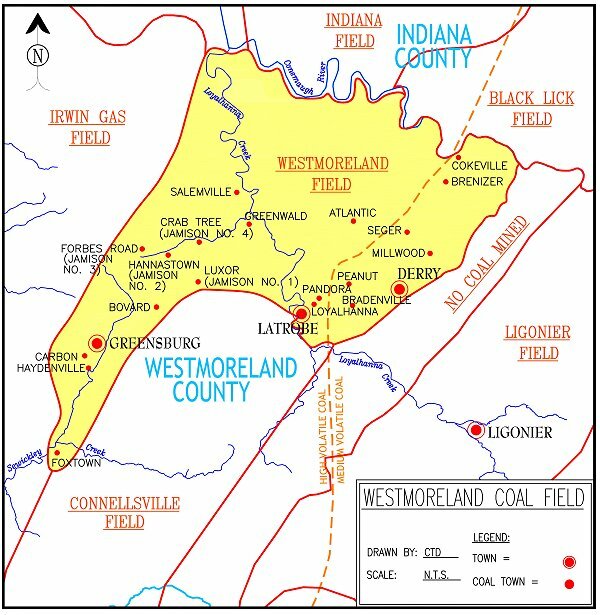 The Westmoreland Field of coal contains the Greensburg basin of the Pittsburgh Seam, the northern end of the Latrobe Basin of the Pittsburgh Seam, and mining in the Ligonier District, which includes an isolated section of Pittsburgh coal. The Upper Freeport and Lower Kittanning Seams are also mined in the Westmoreland Field. Jamison Coal and Coke and Keystone Coal and Coke were the principal players in this field, which was blessed with the main line of the Pennsylvania Railroad running through it.